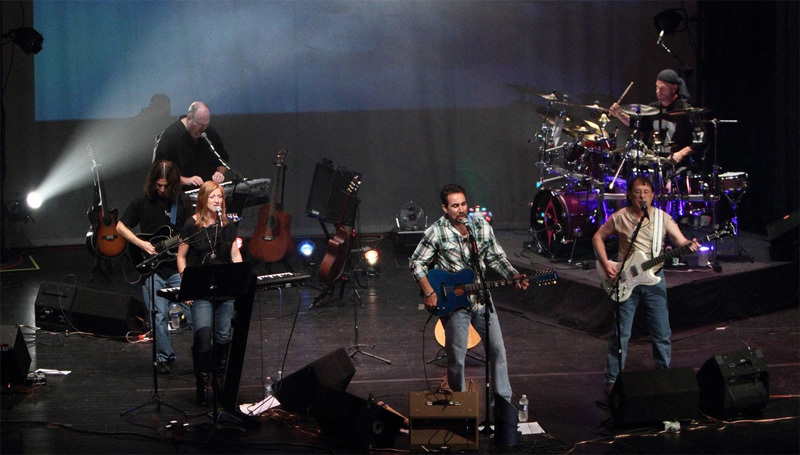 Coming from Sumter, nestled in the center of South Carolina, is Farpoint, a melodic progressive rock band. While new to me, and maybe to most readers, Farpoint has been rather profilic since guitarist/keyboardist Kevin Jarvis and drummer Rick Walker created the band in 1997. Paint The Dark is their sixth full-length album. Perhaps the best way to describe Farpoint's music is to call it quiet, almost subdued, melodic rock with obvious, but not desperately, technical nuances. The band makes use of piano, acoustic guitar, synths for some symphonic notes, and gentle, unobtrusive, vocals to create their gentle melodic rock. It's the 'light' beer of progressive rock. It's not that they can't get frisky. One of the quietest numbers is Who You Are, driven by female vocals and piano at the start, only to get rambunctious at the end. Gone does something similar, moving gently and quietly, with a symphonic layer, but with more pitched drums. However, the movement seems nearly plodding, even forced. I found myself wondering if the song was ever going to get going, or end, for that matter. Another song, One More Sunset, again keeps things consistently soft with only one or two moments of punch. The odd man out, so to speak, may be Vision Quest. While it doesn't move far from the Farpoint motif of quiet gentleness, it is the one song with the most varied elements. You'll hear everything from light rock to country to come slight celtic flavors. Once more, Farpoint is like easy listening mellow progressive rock, which doesn't make it bad, just extremely quiet. Music to take a nap to or slip into the hammock on a dog day in August with a mint julep, don't spare the bourbon. Some other observations. I found the vocals to be uneven, and even more subdued than most of the music, so I couldn't always catch what the vocalists were saying. Which is a problem as it seems that Farpoint writes (Christian) faith-based lyrics. Or so it would seem since they have Soli Deo Gloria, 'To God Be The Glory,' on both their web site and Facebook page. For something on the (very) light side of American melodic progressive rock take time to consider Farpoint and their latest Paint The Dark. For something on the (very) light side of American melodic progressive rock take time to consider Farpoint and their latest Paint The Dark.